The sun shone weakly through faded orange curtains into a bedroom that sulked beneath the faint illumination. The windows were festooned with spider webs from where the desiccated corpses of trapped flies speckled the room with small spectral shadows. The peeling wallpaper was slimy with wet, green mould. The colourless carpet was bunched into odd humps here and there, as if strangely deformed creatures had crawled underneath it to die, writhing in agony. Irregular patches of damp, the thoughtful gifts of incontinent cats, fermented quietly in the corners. The bed was covered in grey-green greasy sheets. The pillows were mottled with dried crusts of drool and mucous. 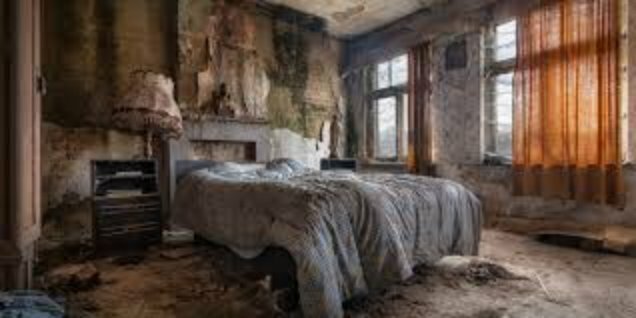 A faded eiderdown twitched occasionally as colonies of bedbugs went exploring among its nooks and crannies. 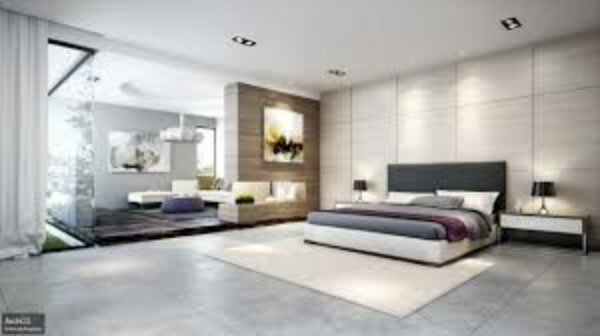 The bedroom presented itself to the world in sterile black and white, with the occasional shade of grey thrown in for variation. On one wall, an abstract painting in orange and black was illuminated by a carefully angled spotlight. It provided a sharp and shocking contrast to the cold space of the room and helped bring to it a small touch of warmth and comfort. Every surface sparkled and winked in the fresh, crisp sunshine that poured through the windows. The newly polished floor tiles gleamed, begging someone to eat dinner off them. The duvet on the bed had been turned down and neatly folded, exposing two snowy pillows, plump and tight. A grey cushion rested jauntily between them.